Our client, age 24, was charged with one count of Penal Code Section 273.5(a), corporal injury on a co-habitant, a felony. The allegation did not include great bodily injury, which meant our client would not serve a minimum of 85% of the sentence, if convicted. Instead, he would be eligible for a 50% sentence. 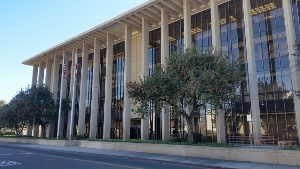 The case was brought in the Alhambra Superior Court. In addition, he was on probation for a prior felony 273.5 charge, so he faced a probation violation charge. It merits mention from the outset that our client had a very lengthy criminal history extending well back into his time as a juvenile. In a Nutshell: Alhambra, felony domestic violence of bruises to girlfriend's arms, charged also with probation violation, plea bargained to two year minimum sentence. The case was clearly a misdemeanor, but had been filed as a felony because of our client’s prior record. The injuries to the alleged victim were minor bruises to each upper arm, but whether our client actually ever touched the alleged victim was very doubtful. The facts of the case suggested a set up, with underlying motives of jealousy and vindictiveness. The alleged victim was the mother of four of our client’s children, although our client and the alleged victim never married. Our client had recently become romantically involved with another woman, which enraged the alleged victim. The alleged victim then called up our client, telling him she was going to leave the state and that he ought to come see his children, as it might be the last time he’d ever see them. Our client, out of an intent to see his children before they left, came over to the alleged victim’s home. When he arrived, the alleged victim ran out the back door and called the police, who arrived almost instantly. The alleged victim then told the police that our client had pushed her down to the ground. Her sister joined in the story as a witness. Our client insisted to the police that he never touched the alleged victim. The police report contained a version of the incident that the alleged victim contradicted in a written statement given to the police and included with a supplemental report. Our office immediately prepared a Penal Code section 17B motion to have the felony domestic violence charge reduced to a misdemeanor. We genuinely believed the motion would be granted, as the injuries were very minor and even doubtful as caused by a push, as the bruises were to the back of the victim’s arms, which seemed inconsistent with how one would grab someone to push them down. The court, however, denied the motion, stating that our client’s prior history was determinative. Greg Hill argued that such an approach was unduly prejudicial to anyone with a prior record, as essentially, for such folks, a misdemeanor was never a possibility again. The Court disagreed. The District Attorney, however, seemed to agree with us and offered to change the charges to criminal threats so our client could leave jail earlier than the current offer of two years. The criminal threats charge, however, was a strike offense, which would permanently subject our client to enhanced sentences if he was ever charged with a crime again in his life. Our client was faced with a predicament – either accept a strike to get of jail early or take a two year sentence, the minimum allowed for a felony 273.5 charge. Wisely, he chose the longer sentence to avoid the strike, candidly stating that although he desperately wanted to avoid any other criminal charges in his life, he most likely would face at least one more criminal charge, as he had been a criminal defendant nearly a dozen times in his short life already. The DA then agreed to stipulate to the judge to the parole board sentence to run concurrent with the two years in prison and our client entered into the plea bargain of two years. Since the charge did not include an allegation of great bodily injury, he was eligible for a 50% reduction in his sentence, so he might be released in nine months or less, after taking into account credit for time served already. Had our client fought his case at trial and been found guilty of all charges, he faced a maximum of twelve years in prison due to the prior conviction and the parole violation. If you or a family member has been charged with Domestic Violence (Penal Code Section 273.5) or a probation violation, call our office today. One of our criminal defense attorneys will speak with you immediately and will fight vigorously for you.